&amp;quot;In God We Trust,&amp;quot; is the sixth and final book in a series. 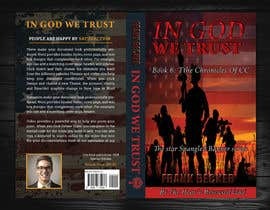 The series is about an international Christian talk show host who, after warning his listening audience that the USA has been weakened by the infighting of demagogues and political opportunists, finds his ID stolen, his family murdered, and his life at risk. 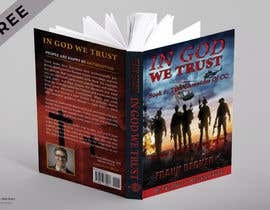 Injured in an auto accident, he awakens in a hospital X-ray room at the outbreak of war, his memory gone. 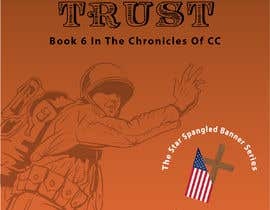 The first few books in the series deal with his survival, and how he gathers others around him, one of whom is a museum curator who has rescued both the actual &amp;quot;Declaration of Independence,&amp;quot; and the earliest version of the &amp;quot;Star Spangled Banner.&amp;quot; Thus the name, &amp;quot;The Star Spangled Banner Series.&amp;quot; In this final book, he recovers his memory, is reunited with his family, and has a major role in uniting various resistance groups to drive the last of the invaders from the United States. Obviously, we are unhappy with previous covers, and hope for something creative here. 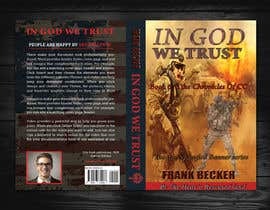 I thought of overlaying a the image of a large, LIBERTY one silver dollar coin with the words, &amp;quot;In God We Trust,&amp;quot; but I decided to try Freelancer.com. 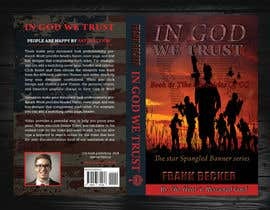 The actual cover—including front cover, spine, and back cover, is 8 inches high by 10.75 inches wide, but there is an extra .25 inch added around the entire perimeter, required by printer, for bleed. 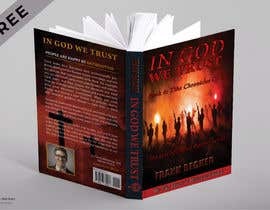 The front and back covers are 5 inches wide by 8 inches high. The book&#039;s spine is .75 inches wide by 8 inches high. 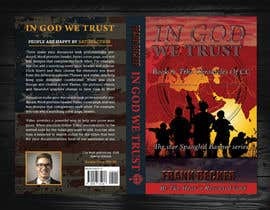 The text on the spine includes the publisher&#039;s logo, a tree, which I&#039;m adding to the files attached list. 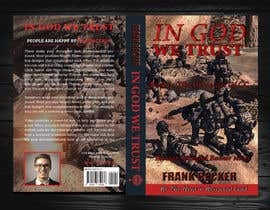 The back cover will have a printed EAN-13 barcode in the lower right corner, and a photo of the author opposite it, on the left corner. The back cover will also have three blocks of type, with a heading line of text above each block. I must be able to edit the back cover text. I prefer the entire cover to be scalable, so it should be done in something like Inkscape or Illustrator, not a pixelated paint program like GIMP. Back Cover Text: A controversial president is assassinated. In the ensuing confusion, demagogues seize power. Several world leaders act to exploit the situation, declaring war and invading the United States. The loss of electrical power, phone service, and the internet—along with the destruction of all forms of transportation—results in multitudes perishing from cold, hunger, and disease. 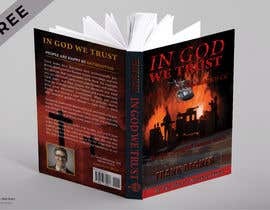 A faithful few, including an amnesiac who calls himself “CC," continue to resist, living out their faith. 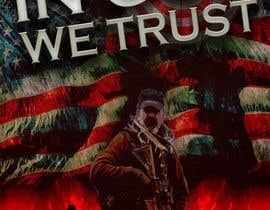 As others are drawn to his side, some begin praying for a miracle that will drive out America’s enemies and restore their liberties. 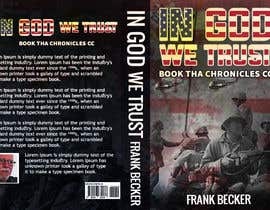 PLEASE NOTE: Genre: Christian Action Adventure; Biblical Speculative [login to view URL] TAKES PLACE IN FORESTS AND RURAL VILLAGES. THIS IS AN UNTRAINED, BUT PATRIOTIC CIVILIAN POPULATION RISING AGAINST WELL-TRAINED AND WELL-EQUIPPED INVADERS. 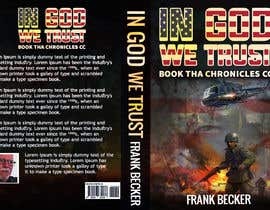 THE GENRE IS Christian Action Adventure; Biblical Speculative Fiction. THE U.S. DECLARATION OF INDEPENDENCE AND THE STAR SPANGLED BANNER (NATIONAL ANTHEM) PLAY A MAJOR ROLL. THE STATUE OF LIBERTY DOES NOT PLAY A ROLE. 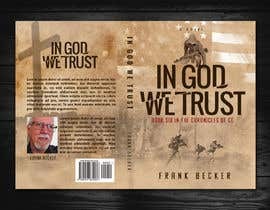 THE CROSS AND THE FLAG ARE GREAT SYMBOLS, BUT SHOULD NOT DOMINATE THE COVER. 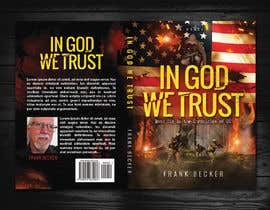 you told that I thought of overlaying an image of a large, LIBERTY one silver dollar coin with the words, &amp; quote; In God, We Trust,&amp;quote;..but you like the best this cover.. this cover no use silver coin. 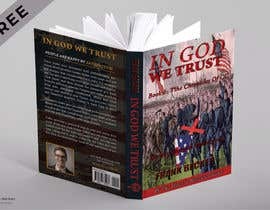 Yes, the coin, with the words, "In God We Trust," has a lot of appeal. But I'm being offered many ideas. Thank you! FYI : some of the designs have bad color combinations, which makes it hard to read content on cover page.. Kindly consider this while selecting entries... Thank you. Dear Contest Holder, please check #130 and #131 Hope you like these designs. Awaiting your feedback. Thank you. Please review #113 and #110 . I don't have a logo, except for the publisher, and it is simply a silhouette of a tree. Thank you! sir please check #59 , #61 any changes then tell me i can do it. This is a book cover, no a logo. Yeah. I wonder why few people even submit LOGO's where it is clearly written by you that u need a book cover. Not only for this contest, saw this type of non-related entries in so many contests. Anyway, hope u like my entry #50 . Thank u.
Dear Contest Holder, Please check my entry #60 Hope you like it. I am ready to provide any revisions. Awaiting your reply. Thank you. sir kindly check my entry #59 hope you like it any if you want any changes then tell me i can do it. The actual book cover measures as follows: Front cover, 5" wide by 8" high. Spine, 3/4" wide by 8" high. Back cover, 5" wide by 8" high. Laid flat, it is 10 3/4" wide by 8" high, but with an extra 1/4" border required for "bleed," it will measure 11 1/4" wide by 8 1/2" high.